Blurb Description: Sixteen year-old Breena Perdit has spent her life as a barmaid, innocent to her father’s past and happily free from the Elemental gifts that would condemn her to a life in the Egrian King’s army. Until the day that three Elemental soldiers recognize her father as a traitor to the throne and Bree’s father is thrown in jail—along with the secrets from his last mission as the King’s assassin. Secrets that could help the King win a war. Secrets he refuses to share. “Pregnant,” I finished weakly, as hundreds of tiny baby spiders flew to cover the floor of the garage. This was followed by us essentially tap-dancing in my garage to try to get as many of them as we could and frantically grabbing a broom to sweep the rest of them outside. 2) Once in college, a friend driving home (home was Orlando, Florida) was struck ill on his drive from South Carolina. He checked into a hotel for the night. 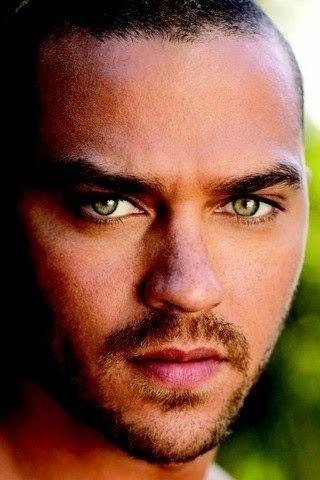 I don’t remember our rationale, but for some reason, we decided that we needed to go get him. At 7 P.M. at night. Oh, and one of my friends had to be at work at 5 the next day. Our friend was successfully retrieved and on the way back, we napped in a Georgia rest stop. And my other friend made it to work on time. Win. A couple of years back, I took a YA writing course online on LitReactor and made a friend. We agreed to exchange manuscripts and became CPs (Critique Partners). One day on Twitter, I happened to notice that she follows Kappa Kappa Gamma on Twitter—As do I. A quick “Hold up. Are you a Kappa?” tweet was sent and to our amazement, we turned out to be sorority sisters! It was a cool twist of fate.South Carolina. Italy. No, no, wait, Spain. No, wait… France. I’m going to cheat: Europe. Oh no, you’ve picked two of my favorite things. Can I wear jeans UNDER my gown? Is that a thing? Maybe it should be—or maybe not; I’d probably be dripping sweat if I added an extra layer. All right, I’m gonna go with the gown. I can wear jeans any old time. Italian. I LOVE me some pasta and pizza! And garlic rolls. Basically, I’m big fan of carbs. As I motioned cars forward into parking spaces that they probably could have picked out themselves, a scene jumped into my head. In it, two girls were arguing in the woods. One pushed the other into the camp fire. And she didn’t burn. That scene actually didn’t make it to the final draft, but the seeds of the story started there. I could hardly wait for my shift break so that I could start writing. 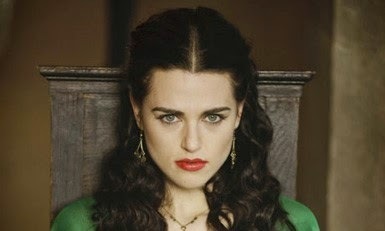 Katie McGrath as Princess Aleta. 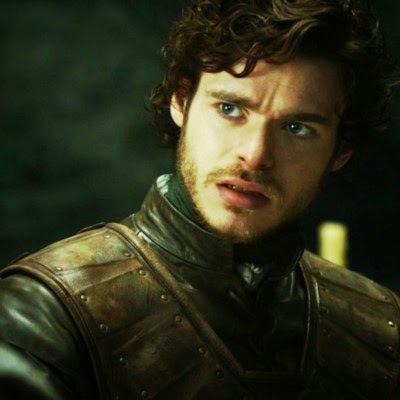 Richard Madden as Prince Caden. 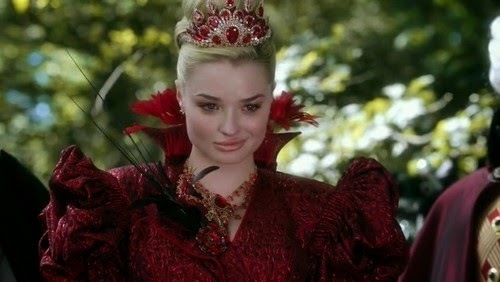 Emma Rigby as Lady Kat. 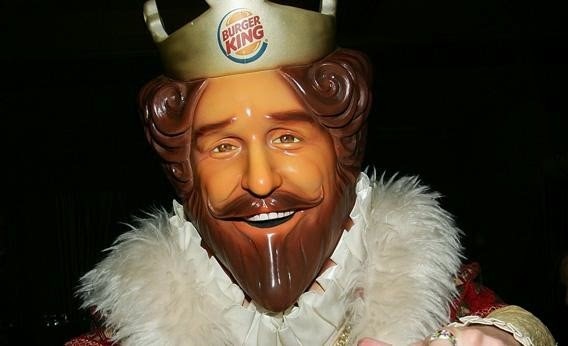 The Burger King as The King of Egria; TELL ME HE DOESN’T SCARE THE BEJEESUS OUT OF YOU. Breathing Underwater (Acoustic) by Metric. The lyrics are perfect and I really dig the vocals. Not everyone is going to like every book! That’s cool with me. It’s to be expected. I don’t read or interact with negative reviews of my own work because I don’t need to put that self-doubt in my head, so of course I prefer them not to be @-ed to me on Twitter, e-mailed to me, or anything. But if your negative review is an honest review, it doesn’t bother me that it’ll exist for your blog readers. I’d rather honest opinions be posted about my books than false praise. 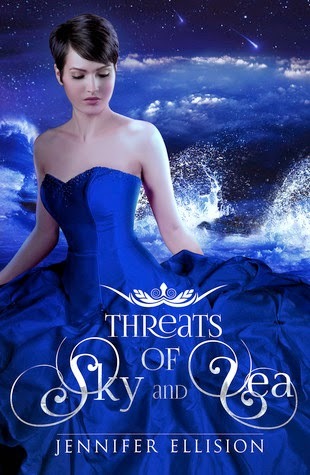 First, I HAVE to start by saying that the cover of Threats of Sky and Sea is Gorgeous! And, as I've previously admitted, I'm sort of a sucker for pretty covers. Also, and I don't usually say this but the title only added a mystical element to the cover. I've taken a while to get to this book- reasons not too clear to me even, but I began and simply HAD to finish in just one day. On her way to the one place she never thought she'd be, with everything she knew about her life a little white lie, and the only place she called home no more than ashes on the ground, Bree forces herself to get a reality check- nothing will EVER be the same. Court, however, is worse than she imagined. Everything she hears is a lie, or a very carefully practiced deceptive tactic and worst of all, she's being manipulated and blackmailed into something she doesn't want to be. This book was really good- but it lacked that element- that one that turns an adventure in a heart stopping thriller. However, I will be looking to the second installment with the hope that I find what I'm looking for.